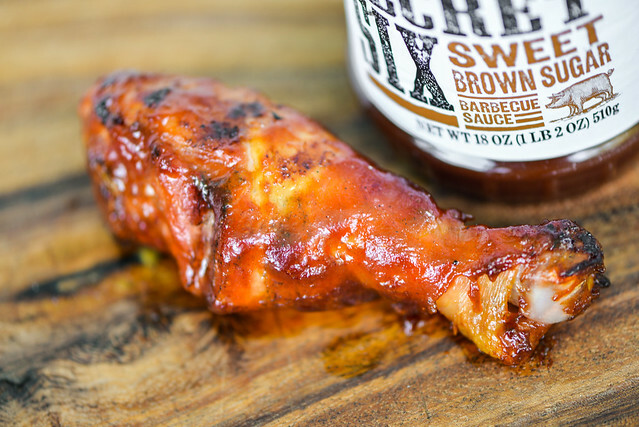 An immense amount of sugar defines this sauce as sickly sweet, but a little tartness and smoke give it body out of the jar, though that also creates an off-balance after being grilled. Still having New Years resolutions on my mind, another one that came up was working my way through all six of the Garland Jack's sauces provided to me for testing. Last time I was sent such a large suite of sauces, I never got to them all, even after three years. Since the people at Garland Jack's were kind enough to send me each sauce, I feel it would be only right to give all of them the attention they deserve, and hope to make good on that before the sauces past their prime. To start that resolution off right, it'll be another Garland Jack sauce—a brand under the Kraft umbrella—that will ring in 2014. The label says sweet brown sugar, but on first smell, its nothing but liquid smoke that fills the nose. The sharp aroma of smoke may try to overwhelm its neighbors, but taking in subsequent whiffs brings out the other players. Molasses is heavy here, giving the sauce a deep sweetness. Behind that comes a touch of garlic against a slightly fruity tomato and faint vinegar tang. 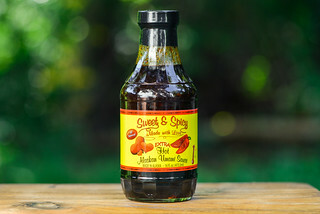 This reddish-brown sauces runs north of medium on the thickness scale, has a smooth consistency, and an opaqueness that masks any spice specs. The sauce has a chunky pour from a spoon, falling in a few large globs, then ceasing and leaving a heavy coating of sauce clinging to the spoon. 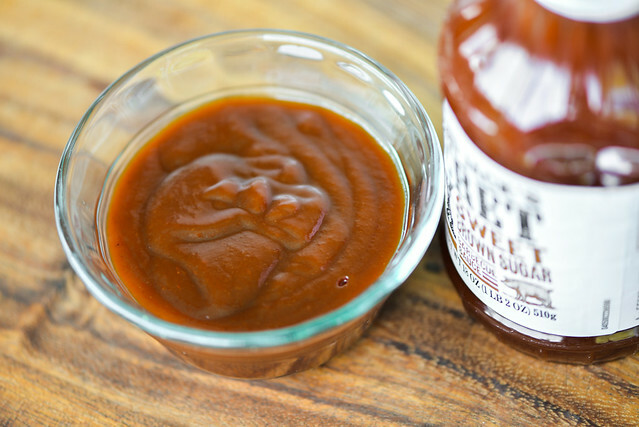 This sauce has an incredibly sweet, brown sugar start. Molasses and sugar fill the mouth with an intense sugary sweetness, drowning out the tomato base almost entirely. As the sauce has time to settle on the tongue, a tartness starts to mix with the sugar, but remains a background note, never striking a 50/50 balance. Not long after the vinegar comes into the play, a little pungent bite of liquid smoke comes out, then ramps up more as the sauce leaves the tongue. Despite the overpowering sugar, vert slight nuances of onion and garlic are to be had if you focus hard on the flavor. The thick sauce coated the chicken heavily, albeit unevenly, when brushed on. Over indirect heat it baked in ok, and surprisingly there was only minor caramelization over direct heat despite all the sugar in the sauce. Unfortunately cooking the sauce through the flavor balance all out of whack. Out of the jar it was damn sweet, so much so that it was almost all you could taste. After being grilled, the smokiness came out more and created a rather unappealing smoky sugar flavor that felt like a cooking experiment gone wrong. These two dominate components drowned out the natural flavor of the chicken, making sure the sauce's in-your-face odd balance of sweet and pungent was all you got. 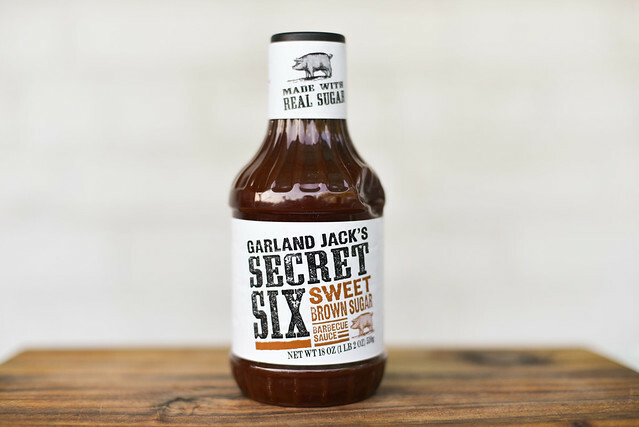 Although I'm a spicy man, I can dig on a sweet sauce here and there, but Garland Jack's Secret Six Sweet Brown Sugar is not one I would turn to. Out of the jar it had a sickly sweet flavor with a strong molasses component. It did find a little balance though with tart vinegar and not too heavy liquid smoke. Whatever redeeming qualities I found in the sauce though were thrown out once grilled, when the smoke was amped up and created an oddly pungent sugary flavor. Obviously this sauce wasn't for me, so I wouldn't reach for it as a condiment or when grilling, but I know Meatwavers who love this sauce. Maybe I'm missing something here, but I guess it has an audience, and if you have a strong sweet tooth and come across this sauce, feel free to give it a try and let me know your thoughts. 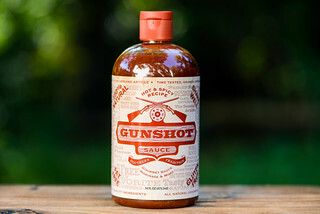 I love this sauce better than any I've tried. i's made like my dad made his. Although a little sweet, it has all the flavors I like and the tartness I love, also. Add a little onion, mustard and it's great! our local store did sell garland Jacks secret six for a short promo. 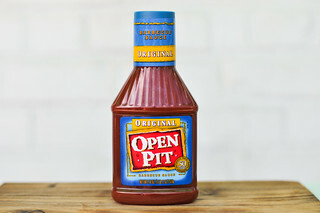 I love this BBQ sauce but when I return to market where I buy it from and it is not there any more. By the review I try go to Kroger and buy Kraft Original, the result it is taste almost the same.